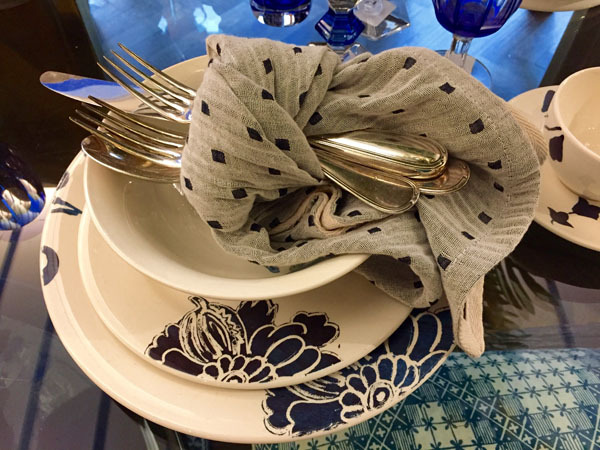 French faience brand Gien debuted select pieces of the newly introduced collection of one-of-a-kind tabletop décor, designed by the talented Parisian ceramicist Brigitte de Bazelaire at the Côte d’Azur Exhibit at Bergdorf Goodman in New York City. This is Bazelaire’s second collaboration with Gien. An assortment of pieces from the collection were displayed in Gien’s Paris and Belgium Stores, and at Harrods in London. Most recently Bergdorf Goodman has chosen twelve items to be exclusively sold in their Fifth Avenue flagship and featured in the Côte d’Azure themed exhibition on their iconic home floor from May 26 through to August 15, 2017. The stylish, yet elegant ceramics are inspired from traditional patterns, Brigitte remembered from her childhood. In addition, she sought to contemporize and pay homage to Rouen 32, a collection, which sports much older traditional styles. The Indigo collection is a beautiful stroke of genius as she bridges the gap between present and past to merge the two in unity. 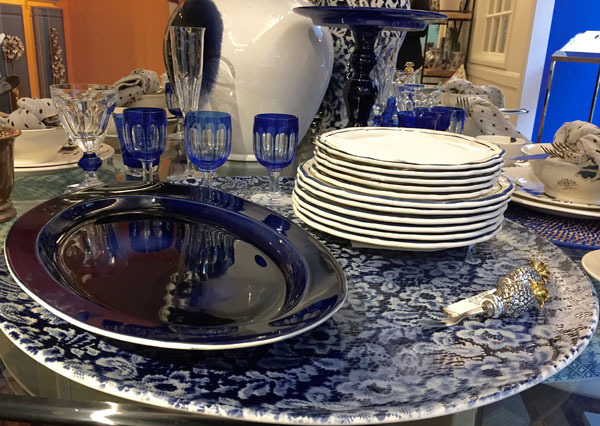 The patterns offer a subtlety to maintain peace, which match well with the filet Indigo plates, considering the simplicity of the classic filet. Inspired by the traditional European aristocracy patterns seen in the Rouen 32, Brigitte decided to enlarge the patterns, focusing on mainly one point in the pattern. The enlarged floral pattern forces you to absorb the grace in something with such delicacy. The dainty lines flow, as they range from thick lines transforming into petals, to the fine lines, which lead to a much bigger picture. Her experimentation with lace and enamel offer an exquisitely tasteful art piece perfect to show off to house guests. Due to the modern transformation of a traditional piece, this collection is guaranteed to be a perfect addition to anyone’s current home décor. The indigo and white can be paired with a myriad of light colours, as they blend and mould to its habitat. When paired with a wood contrast, the collection is accustomed to a sleek and fresh new feel, as the light sand colour becomes a backdrop for the indigo and white to shine in the lime light. This collection of stunning table décor could be considered the new retro, as Brigitte has ingeniously taken a past design and revolutionized it to compliment modern times. 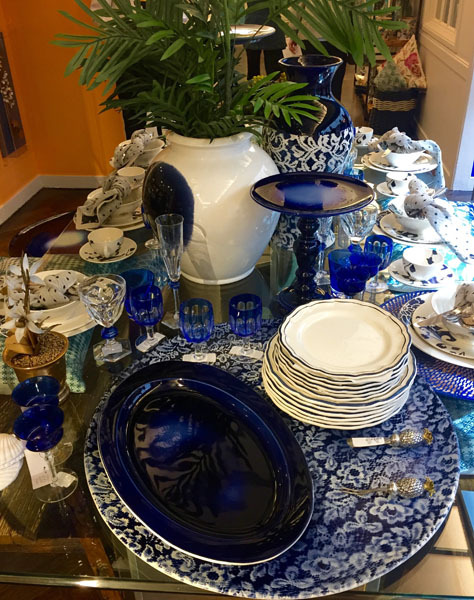 This collection would be a great way to show off your sense of tasteful décor.